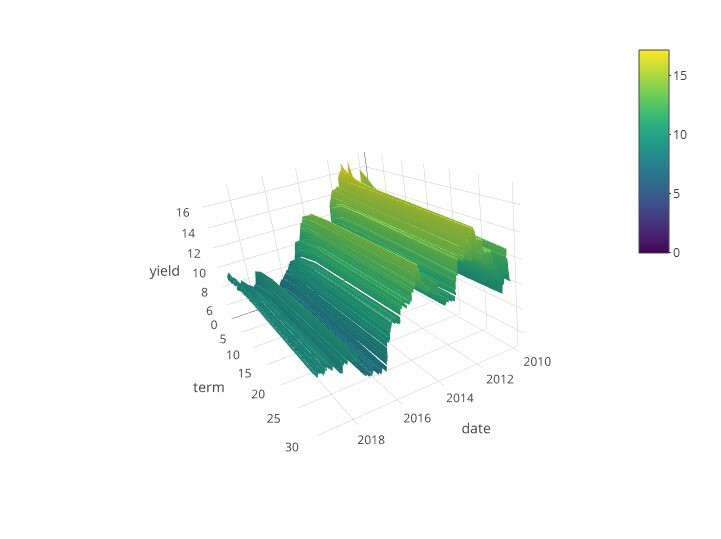 Understanding the dynamics that influence consumer house-buying power, how much home one can buy based on changes in income and interest rates, provides helpful perspective on the housing market. When incomes rise, consumer house-buying power increases. When mortgage rates or nominal house prices rise, consumer house-buying power declines. Our Real House Price Index (RHPI) uses consumer house-buying power to adjust nominal house prices, offering insight into affordability. “Rising household income contributed $11,000 to consumer house-buying power, which helped mitigate the negative effects of rising mortgage rates." For example, according to our RHPI, real house prices increased 11.3 percent year over year in August, marking a significant, but unsurprising decline in affordability. Since August 2017, two of the key factors in affordability have risen – mortgage rates increased 67-basis points and unadjusted house prices rose by 6 percent. However, household income growth helps affordability, and household incomes increased by 3.2 percent in August. Let’s examine how the increase in household income helped mitigate the influences of rising mortgage rates and unadjusted house prices on affordability. Rising mortgage rates, which increased from 3.9 to 4.6 percent over the last year, reduced consumer house-buying power by nearly $30,000. That means a home buyer with a 5 percent down payment and a mortgage rate of 4.6 percent saw their house-buying power decrease from $394,000 to 364,000, since last August because of the increase in mortgage rates. But, that $30,000 decline does not factor in the change in household income since last August. Mortgage rates are rising because the economy is growing, the labor market is tightening, and wage growth is increasing. Wage growth translates into rising household incomes, which were 3.2 percent higher in August compared to a year ago. That growth in household income contributed $11,000 to consumer house-buying power, which helped mitigate the negative effects of rising mortgage rates. While rising mortgage rates reduced house-buying power by $30,000 over the last year, rising incomes increased consumer house-buying power by $11,000. The net effect? Overall consumer house-buying power fell by $19,000 in August compared with a year ago. 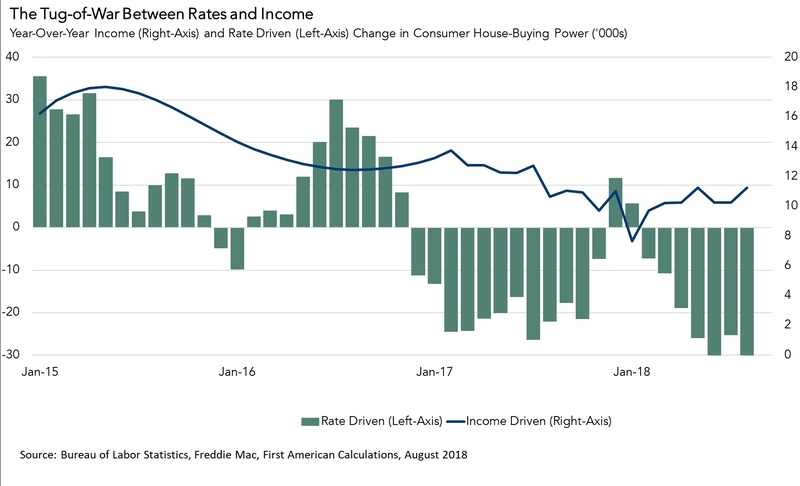 While the negative effect of rising mortgage rates is outpacing the benefit of rising incomes, consumer house-buying power continues to be strong because mortgage rates remain near historic lows. Between the peak of unadjusted house prices in 2006 and August 2018, the average 30-year, fixed-rate mortgage fell from 6.8 percent to 4.6 percent. Over the same 12-year period, household income has increased 30 percent. Lower mortgage rates and higher income levels mean house-buying power is nearly 66 percent higher today than it was in 2006. 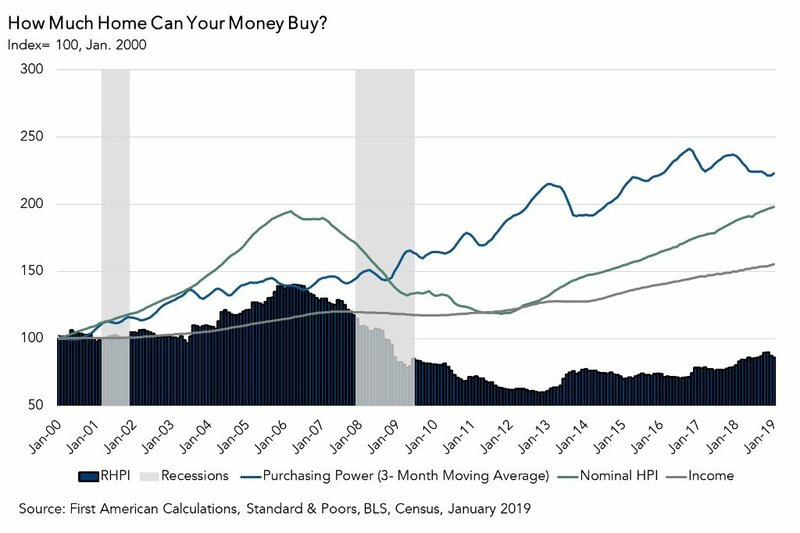 While the future of consumer house-buying power continues to rely on the tug-of-war between household income and mortgage rates, historically, home buyers still have more house-buying power today than they did over a decade ago. For the full analysis on affordability, the top five states and markets with the greatest increases and decreases in real house prices, and more, please visit the Real House Price Index. The RHPI is updated monthly with new data. Look for the next edition of the RHPI the week of November 26, 2018.